Paysafecard (www.paysafecard.com) is an online prepaid payment system that is available worldwide at over 500,000 different outlets, with thousands of online merchants. It is a simple, easy and private method that works similarly to other prepaid methods, but instead of buying a prepaid card or loading a virtual card, you buy what is known as a voucher. This means that your privacy is completely confidential and no personal information is given out during any transactions as no banking or credit card information is required to use the vouchers. 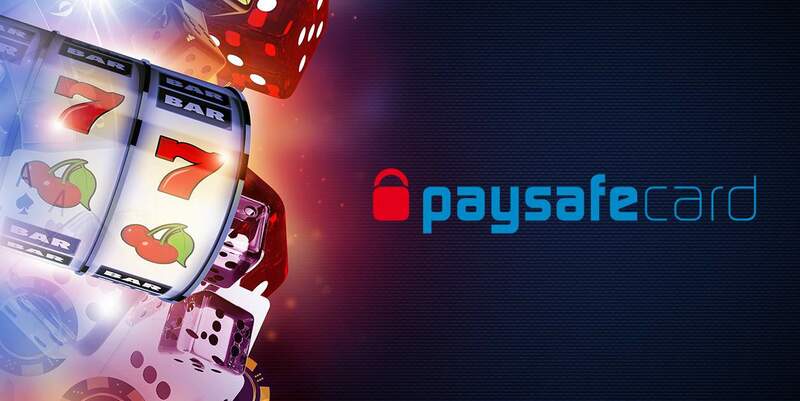 This makes it one of the easiest and most convenient options for Canadian gamblers as almost all online casinos accept Paysafecard. Getting a pin code is as easy as walking into a local retailer that sells the vouchers. In Canada, this could be your local post office, Esso, Canadian Tire Gas Bar, Hasty Mart, Rabba, Gateway Newstands, Canada Computers or other convenience stores. Finding local retailers that sell these vouchers can be done from Paysafecard’s main website under their “buy paysafecard” web page. Once you have found where you can buy a voucher, all you have to do is go in, pay for the voucher amount you want and then use the 16-digital pin code at participating online merchants to complete a transaction. Vouchers come in increments of $10, 30, 60, 100, 150 or 250 Canadian. You can combine up to 10 pin codes together in order to make more expensive purchases. It is important to note that the full value of the pin can be used to make purchases and any remaining balances on pins can be used for any payment. Do I Have to Use an Online Account? Absolutely not. The Paysafecard administration tool and cellphone application give an overview of your pins. This means you can see all of your pins in one place, what their balances are and whether you qualify for any rewards with the loyalty program. The online administration tool and cellphone application do allow you to pay online with your username and password and does have a 2-factor authentication protection protocol to protect your account from unauthorized access. The administration tool and cellphone app is a great alternative for those who don’t want to enter a 16-digit pin for every single transaction. What Canadian Casinos Accept Paysafecard? There are tons of casinos that accept Paysafecard, including William Hill, 888, Betway Casino, Royal Vegas and other. Even top industry software providers like Microgaming, Playtech, Evolution Gaming, and NetEnt accept Paysafecard as a deposit option. The only downside to using this payment method is that it cannot be used to withdraw any funds and all transactions are final; you cannot cancel transactions once they have been initiated. For withdrawals you will probably need other option, e.g. bank transfer.